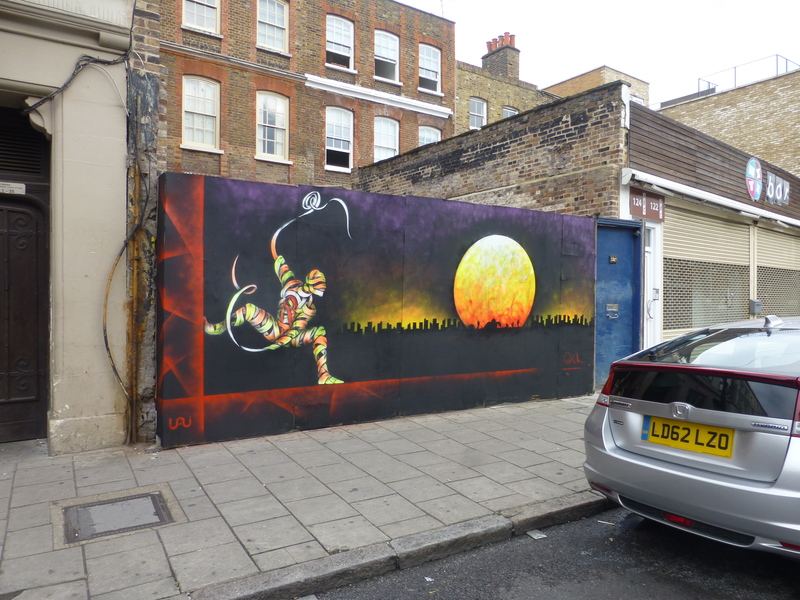 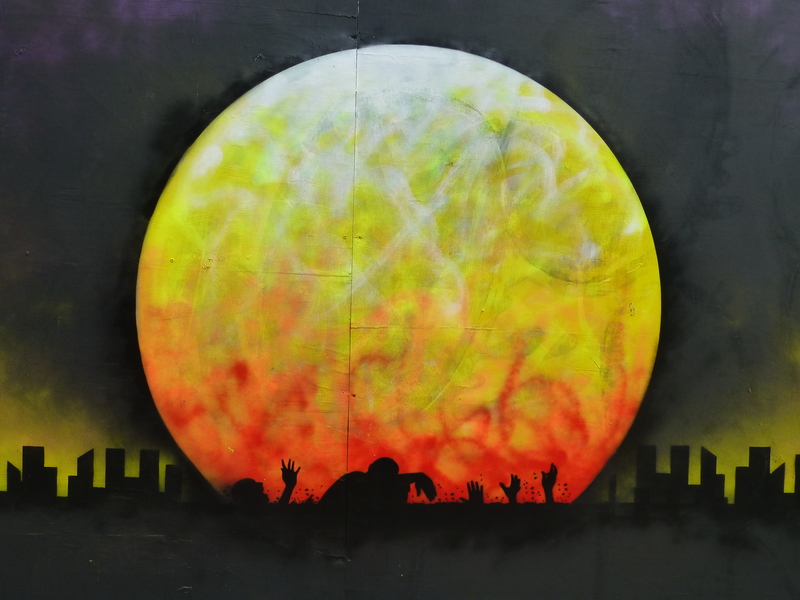 Last week in Hoxton Street, Hoxton, Chilean born, but London based Street Artist Otto Schade laid out this impressive stencil work ahead of his forthcoming exhibition at the Well Hung Gallery just further down the road (which we will be covering in the coming days). 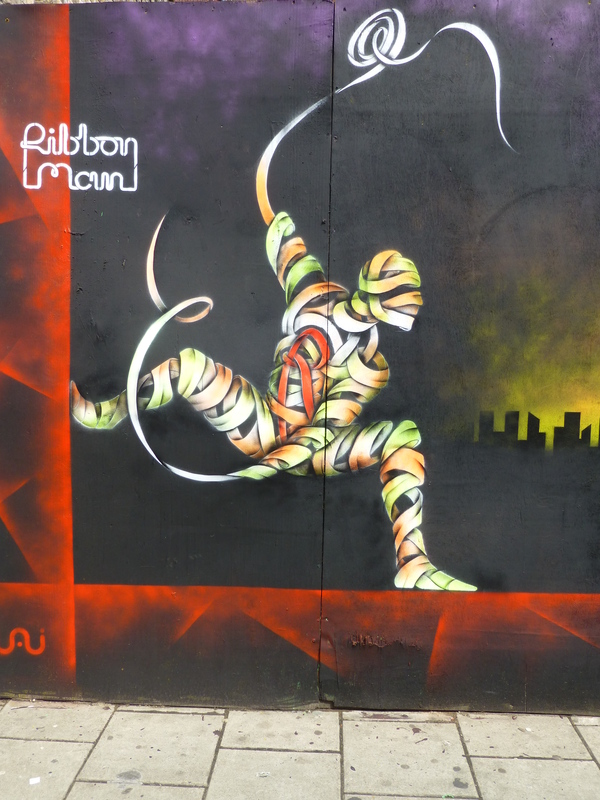 The piece entitled “Ribbon Man” depicts one of his trademark ‘ribbon’ based characters arriving upon the apocalyptic landscape to save some immigrants from the sea. 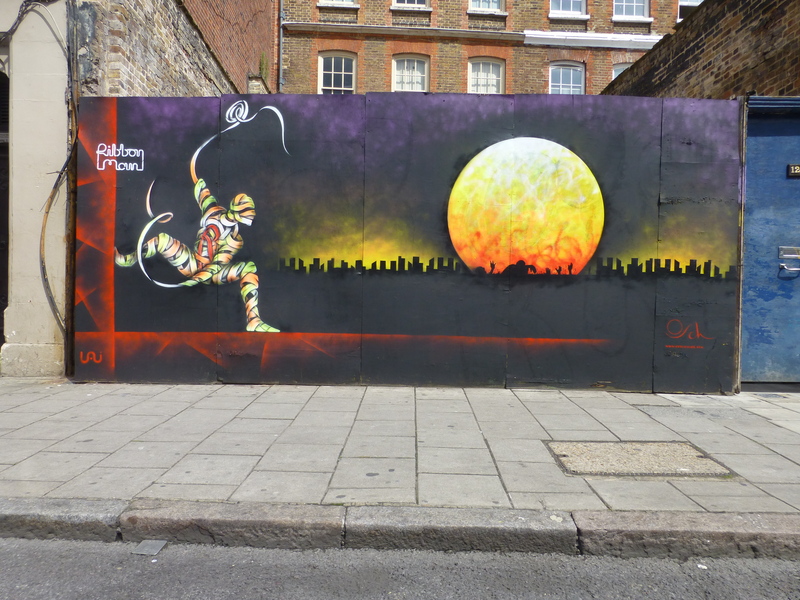 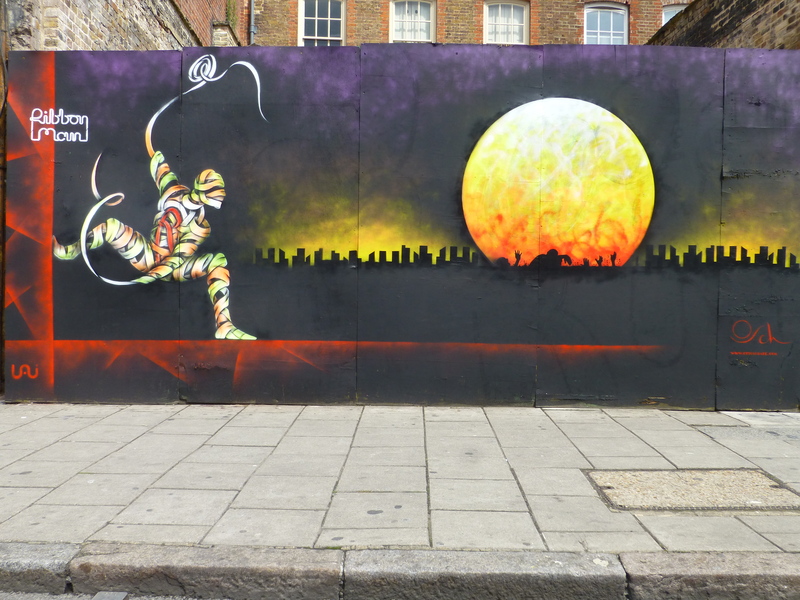 What is most interesting about this piece is how it fuses Otto Schades two distinctive styles and themes with the ribbon character work on the left and one of his silhouette sun-scape works on the right, this being the first time we have seen both of Osch’s two main styles blended into one piece.